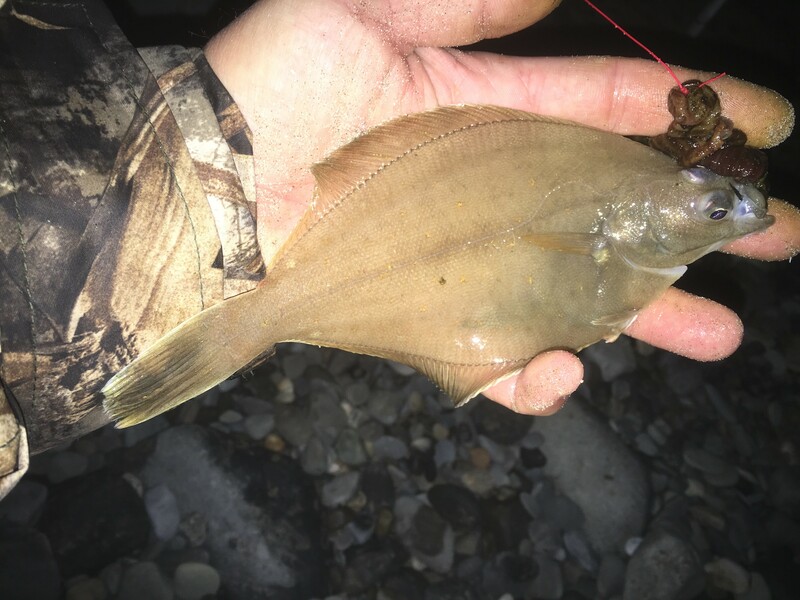 Working in the beautiful game, I have to book my holidays around the football season rather than the tides for fishing and so, although they weren’t ideal, nevertheless I was just glad to get some angling in while on holiday near Barmouth. Doing a Friday to Friday, as soon as I arrived with my wife who I dropped off at the caravan, I was back into Wales for a working game. Once that was out the way, although I had my laptop with me so did some work during the week, I was able to concentrate on the holiday itself. With a high tide in the early hours, this session saw me catch the species listed in the title. By the time I got back to the caravan, had a cup of tea and was ready for bed, it was pushing 2.30 a.m. Still, if you want to catch something then you have to be committed. Sessions in the middle of the day with a bright sunny sky and a wave-less sea are never going to be that productive, and that was shown by a few blanks and just the one bass. The rest of my fish all came during the hours of darkness. Fishing is like life, if you want to be successful then you have to be dedicated and focused. Although it’s been a slow week as far as angling has been concerned, nevertheless it would have been much slower if I hadn’t done the very late sessions. Return to the home page and visit my sea angling blogs.